As American viewers, it is quite easy to be desensitized to discussions of prejudice. In most classroom discussions and in the media, there are clear aggressors and clear victims. To an extent, this trend is only natural considering the United States’ spotted history with regards to race relations; much consideration is put to amending historical wrongdoings. At the same time, it oversimplifies prejudice to an unequivocally horrible sin, committed only by the most evil of people. One’s prejudices cannot just be turned on and off by the “power of empathy,” as is so often depicted in movies. Prejudice has complex roots that can burrow their way into the “average” person — the outwardly principled, upstanding individual. Set in a far less morally and racially black and white landscape than the United States, “The Insult” by Lebanese director Ziad Doueiri (“West Beirut”) explores events unfolding in Beirut after an interaction between Palestinian engineer and refugee Yasser Salameh (Kamel El Basha, “Solomon’s Stone”), and Lebanese Christian Tony Hanna (Adel Karam, “Where Do We Go Now?”). Salameh insults Hanna for destroying a new drainage pipe Salameh had fitted on Hanna’s balcony as per municipal orders. Hanna, absolutely irate at the insult to his honor, threatens Salameh’s supervisor, demanding an apology from Salameh. Upon his supervisor’s insistence, the equally proud Salameh begrudgingly visits Hanna’s car repair shop to apologize, only to witness Hanna listening eagerly to the anti-Palestinian rhetoric of Bachir Gemayel on his TV. In this tense scene, close camera shots capture Salameh’s every grimace and twitch as he is forced to digest these hateful words. The entire soundtrack consists only of Gemayel’s voice, and viewers are soon as anxious as Salameh is. Obviously on edge as Tony asks for his apology, Salameh hesitates. Tony spits out that he wished Ariel Sharon had wiped all the Palestinians out, and Salameh impulsively punches Tony, breaking two of his ribs. The rest of the film follows the two as Hanna prosecutes Salameh in court for moral and physical injuries, all to finally get the apology his honor demands. In the courtroom, both men are sidelined to their respective benches as their lawyers take center stage. Tense back-and-forth exchanges ensue between Hanna’s veteran lawyer, Wajdi Wehbe (Camille Salameh), and Salameh’s lawyer, Nadine Wehbe (Diamand Bou Abboud), who is also Wehbe’s daughter. Before long, Salameh and Hanna see their case spiralling out of control as their lawyers mount Hanna and Salameh as figureheads for the Lebanese Christian and Palestinian causes respectively. The men’s codes of honor are slowly infringed upon as the case attacks the privacy and dignity of the opponents. Each man, once headstrong, finds himself losing control of his own life as riots begin to break out around Lebanon. As several characters remark in the film, all this happens over a mere insult. While Doueiri certainly is making a sharp commentary on the state of cultural relations in the Middle East today, most American viewers unfamiliar with the Middle East’s recent history will still find that Doueiri’s film provides enough to chew on. “The Insult” is at once incredibly subtle and unfortunately heavy-handed in its discussion of prejudice. In an environment where history has yet to proclaim a clear victim and a clear aggressor between the Palestinians and the Lebanese, Doueiri paints a complex portrait of the ways prejudice and suffering take root between two coexisting societies. He is able to raise many complex questions that are not as common in Western cinema. At its core, the film confronts the dichotomy between man’s human decency and his biases, asking where one ends and the other begins. When two men hold biases against each other, both stemming from instances of past victimization, whose suffering is weighed more? Can suffering be weighed, and is that even a question worth asking? Doueiri is unforgiving in the moral ambiguity he imposes on viewers. 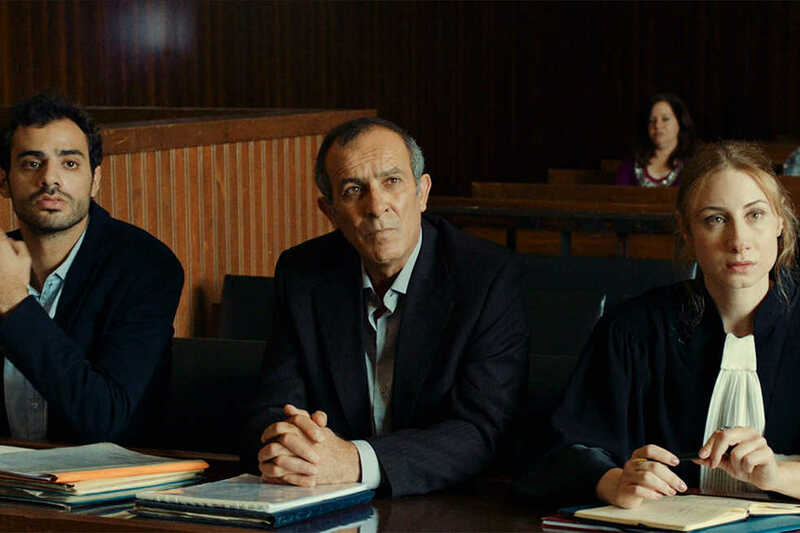 As causes and political movements spring forth out of the courtroom, viewers are constantly drawn back to Salameh and Hanna, both men suffering as they know that their inherent biases are not worth the strife they have caused. replicating the control they wish to exert on their worlds. Further, as the movie progresses, viewers see the two frames in parallel, as the characters find themselves stuck together. Despite all the subtlety Doueiri exhibits and all the questions he poses, he follows these strong traits with clumsy plot contrivances or empty moral platitudes. Hanna and Salameh’s lawyers are related. Hanna is suing for damages because the stress of his injury supposedly led his pregnant wife to miscarriage. In the final minutes of the film, Doueiri attempts to tie up all the loose ends with each lawyer waxing poetic about how nobody has a monopoly on suffering. Admirable though his effort may be, Doueiri tries and fails to provide adequate answers to the many questions his film provokes. Perhaps “The Insult” would be more powerful if Doueiri had offered no answers at all. While the cheese and drama often undercuts the nuances of the themes, most viewers should be at no loss of ideas to wrestle with after watching “The Insult,” which was nominated for a Foreign Language Film Academy Award.